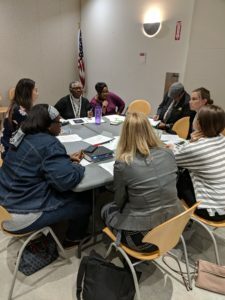 March was a busy month for the Collaborative, featuring a transition workshop, multiple Lincoln Military Housing outreach expos, and our Monthly Convening focused on Caregiver Resources. Let’s break down some of the highlights in our first-ever “Month In Review” blog post! Throughout the month of March, various team members of the SDMFC and the Healthy Start Military Family Resource Center (HSMFRC) attended multiple outreach events across San Diego with Lincoln Military Housing. 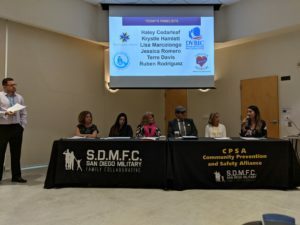 The SDMFC team interacted with hundreds of military families, spreading information and building rapport within our huge community of San Diego-based military families. As our friend and Coordinating Council member, Tony Teravainen of STEP, has repeatedly pointed out: “When military families come to San Diego, we spoil them!” Well, they deserve it! Thank you to all who met our team and signed up for our newsletters – we hope to see you all again soon! And a special thanks to everyone working at Lincoln Military Housing for inviting us to partake in their expos. 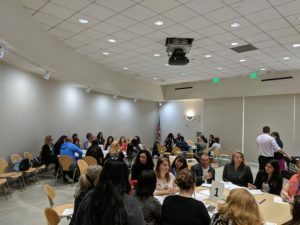 On Thursday, March 21, the SDMFC hosted its second Military Transition: Spouse Edition (MTSE) workshop at the SAY San Diego main offices. 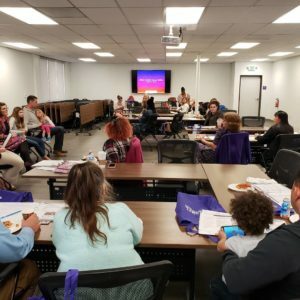 Thirteen attendees received a binder full of important information and heard from expert presenters on VA benefits, employment opportunities, relocation assistance, and a panel featuring a military family that has previously dealt with transition back into civilian life. Check out photos of the workshop below! 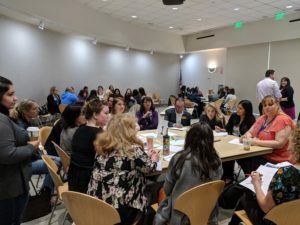 On Friday, March 22, we held our Monthly Convening at Mission Valley Library. 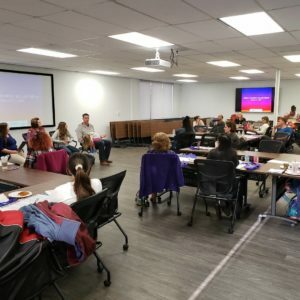 This month’s convening topic focused on Caregiver Resources, and featured an excellent panel of experts – Haley Cedarleaf (Defense and Veterans Brain Injury Center), Krystle Hamlett (Caregiver Healing Foundation), Lisa Marcolongo (The Elizabeth Hospice), Jessica Romero (Southern Caregiver Resource Center), Ruben Rodriguez (Dignity Memorial), and Terre Davis (At Your Home Familycare). The panelists did a great job breaking down the ups and downs of being a full-time caregiver, a role that can befall anyone, anytime, and usually without warning. The panelists discussed the need to be ready for the unexpected, and to take the necessary steps now in preparing for the death of a loved one – something that none of us escape. To check out the video of the panel discussion, click here!